Battery Observation Post. 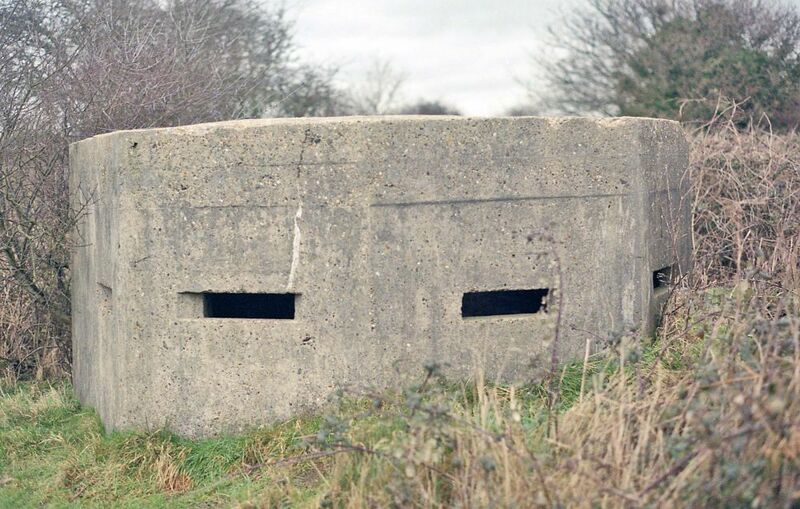 This concrete structure closely resembles a pillbox, but is the observation post for artillery observers from E Troop, 348 Battery, 136 Field Regiment Royal Artillery at Sallow Wood Covert to the west. From here, the occupants could direct fire onto German troops attempting to land along this section of the coast. One of two examples at Walberswick. This structure can be seen from the coast path.